Gas prices are skyrocketing. Food prices are creeping up. The economic outlook remains questionable. In this time of uncertainty, what should we do? My advice is simple. Check your receipts. Every penny counts! Case in point: My husband and I ventured out to the grocery store after finding our cupboards were bare. We picked up the staples of life – milk, bread, fruit, and vegetables. I thought we did a pretty good job following our grocery list, but when I saw our total bill, I choked. We needed a grocery reality check. On the way to the car, I went through the grocery receipt line-by-line. And there it was. Right before my eyes was the total for the four avocados we had purchased – $24.50. 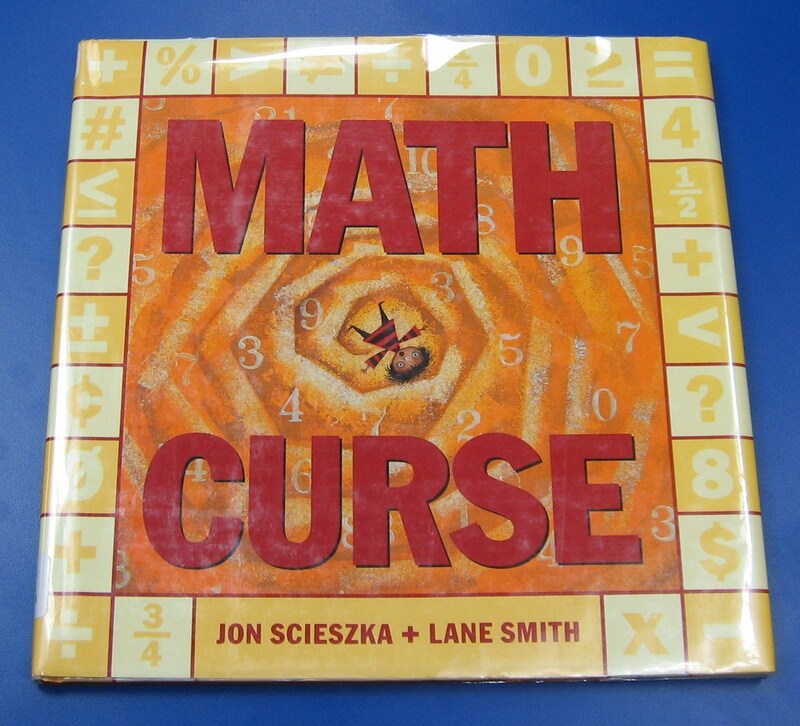 Math curses! I bought the avocados because they were two for a dollar. Something was amiss. On closer inspection, I discovered we were not charged for four avocados. We were charged for forty-nine avocados! Holy guacamole! That’s enough green stuff to last from now until St. Patrick’s Day! An immediate trip back to the service desk brought our grocery bill down to a more reasonable total. Word to the wise. Check your math. Check your receipts. Check your bills. Check your checks. Check. Check. Check. Don’t let math be a curse. 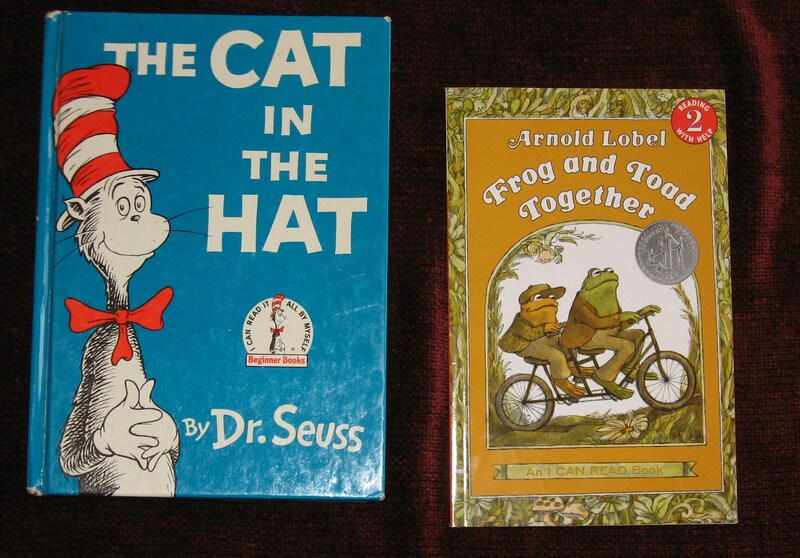 Below are some books you and your kids can count on! 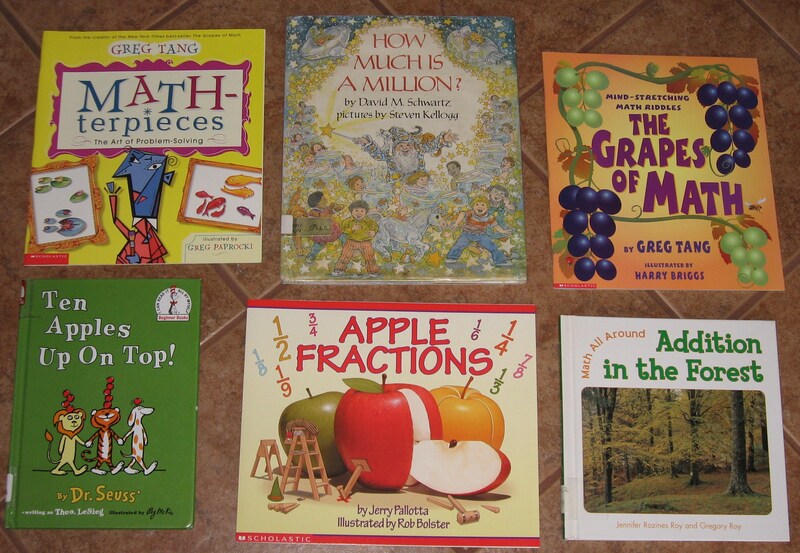 Kids + Parents + Math Books = 3x the fun! 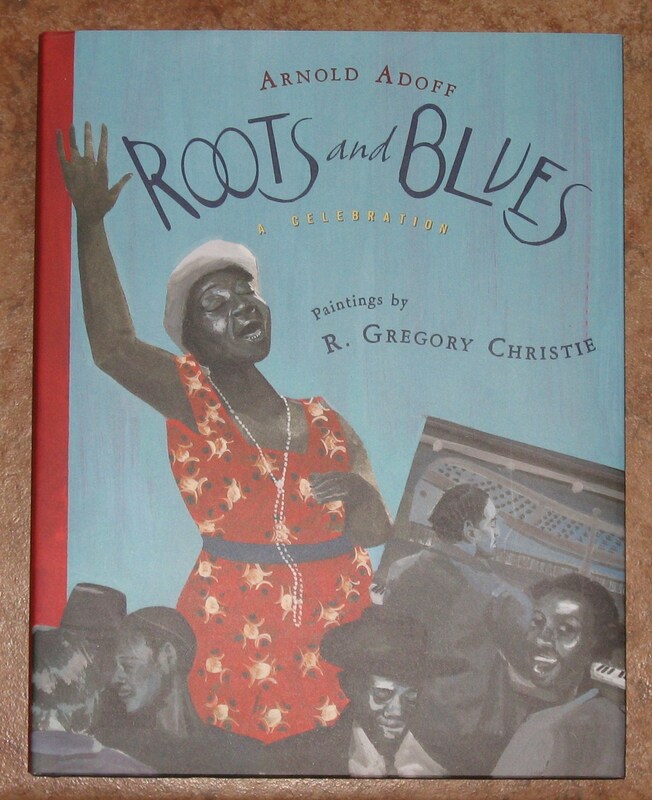 I couldn’t let Black History Month pass by without mentioning a wonderful book written by award-winning poet, Arnold Adoff with paintings by the very talented R. Gregory Christie. Roots and Blues A Celebration is a book filled with poems that speak of the difficult journey of African American slaves and how the joys and sorrows in their lives were intertwined with the rhythm and music of the world around them. Adoff’s word choice and placement of words create rhythmic patterns that flow off the page and sing to the reader. With his unique style, Adoff introduces the history and culture of the blues to readers. References to such music greats as Muddy Waters, Bessie Smith, W.C. Handy, Ma Rainey, and others are made. Interspersed throughout the book are paintings by R. Gregory Christie, a Coretta Scott King Honor Award-winner, that capture the suffering and joy of African American life. This is a book to be savored. Have a heart! Not only is it Valentine’s Day, but it’s also Read to Your Child Day. What better gift to give to your child than a book that you can read together. It’s a great way to bond and to instill the love of reading on this special day. Here are some classic book suggestions from our family’s treasure trove of books that have been well read over the years. 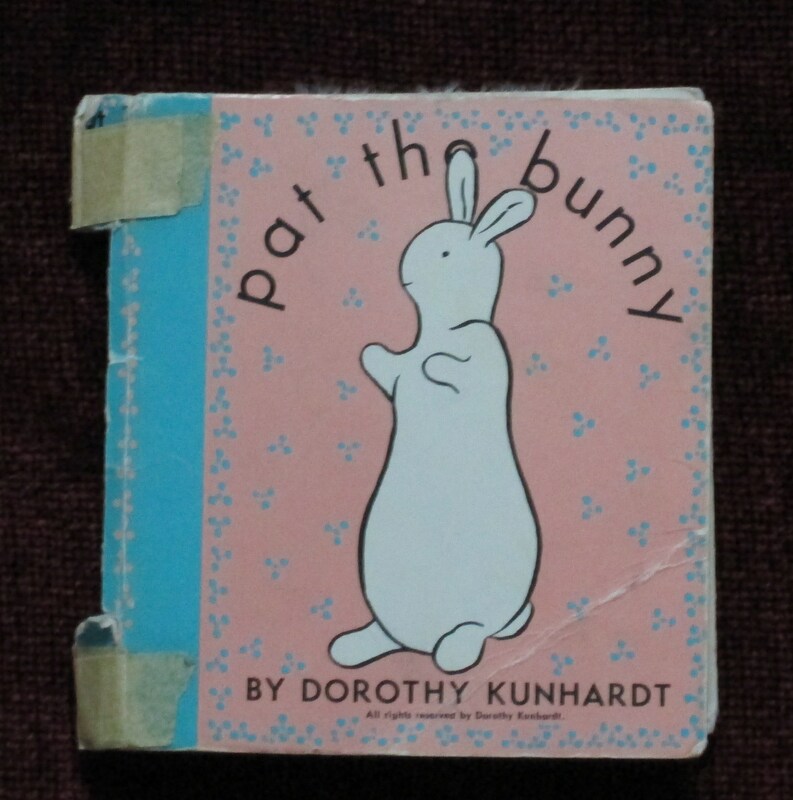 Pat the Bunny was a real favorite in our house, but I think we patted the bunny a bit too often. 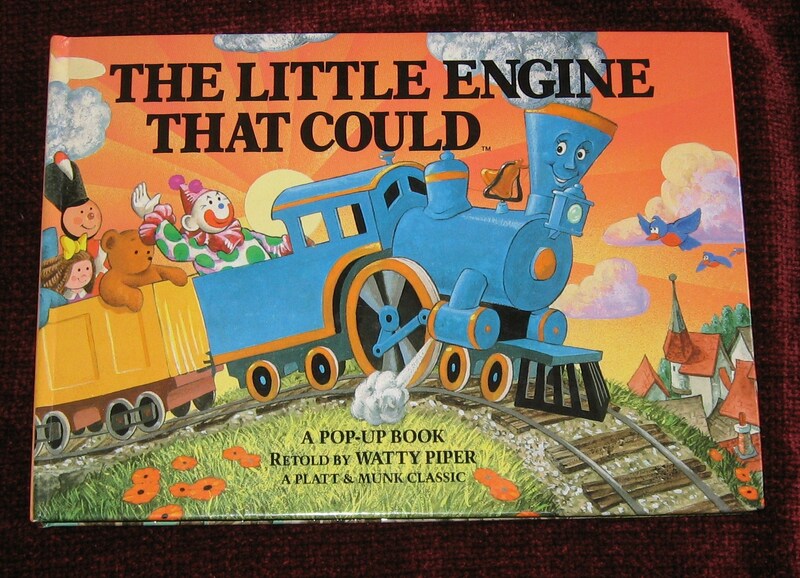 The pop-up version of The Little Engine that Could provides lots of fun for both parent and child, but the original version is still my favorite. 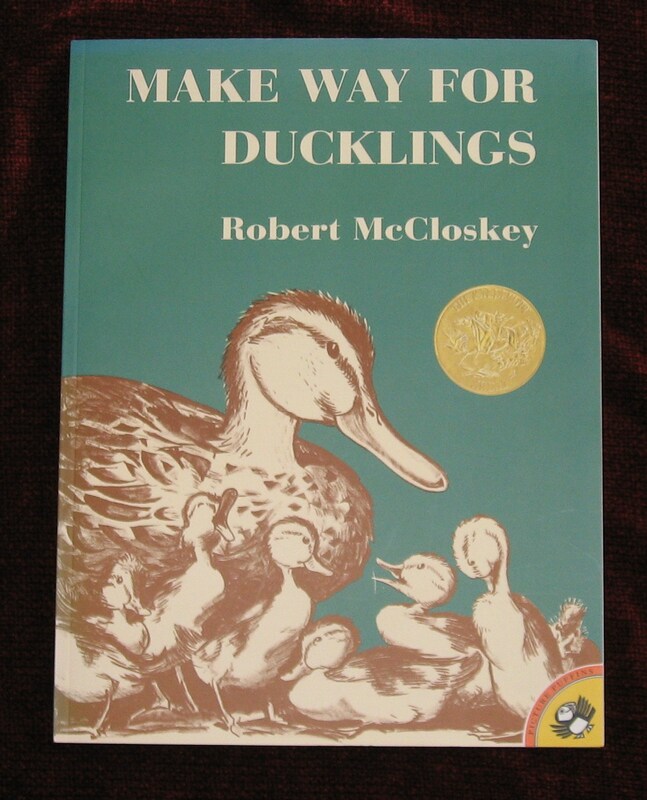 While living in the Boston area, my daughter made Make Way for Ducklings one of her favorite picture books. 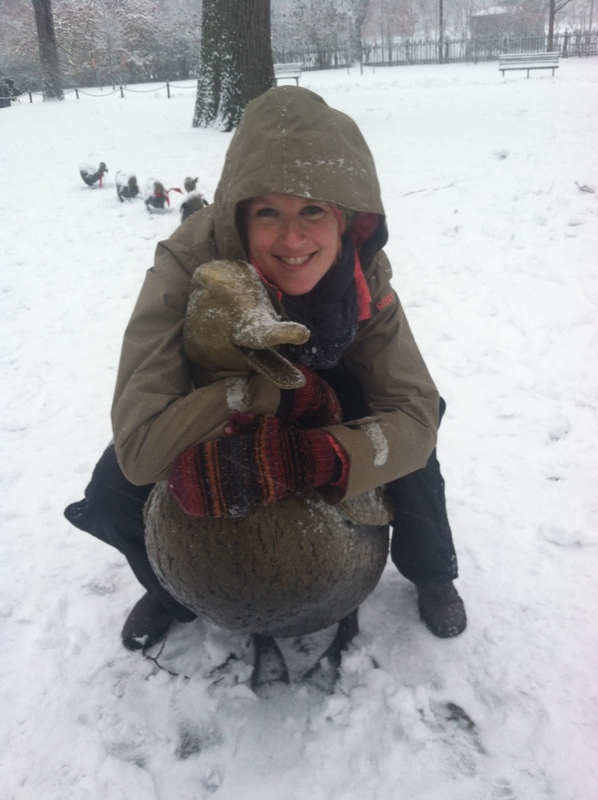 As you can see, she still loves those ducklings! 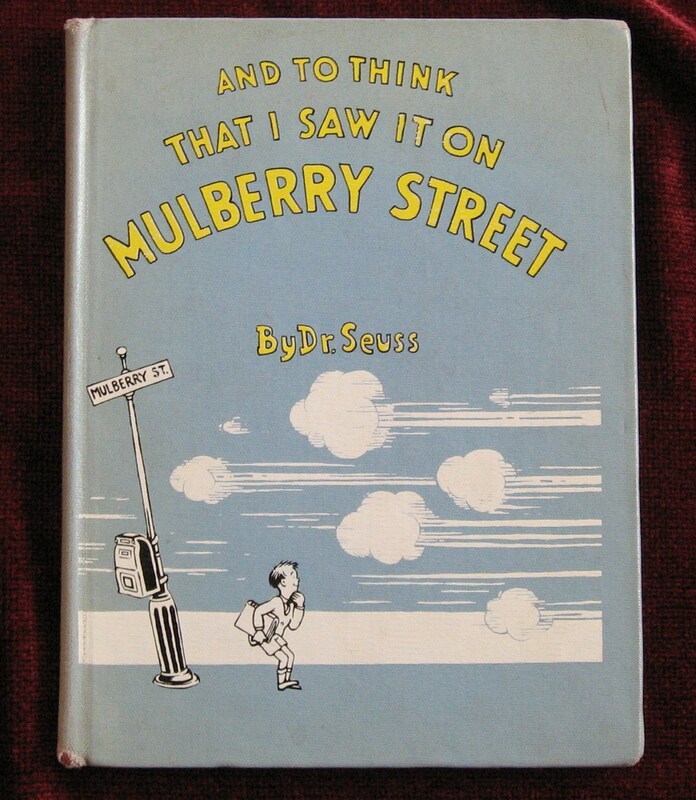 Dr. Seuss’ And to Think that I Saw It on Mulberry Street is a great way to encourage imagination! Mike Mulligan and His Steam Shovel and Katy and the Big Snow are long-time favorites for both boys and girls. 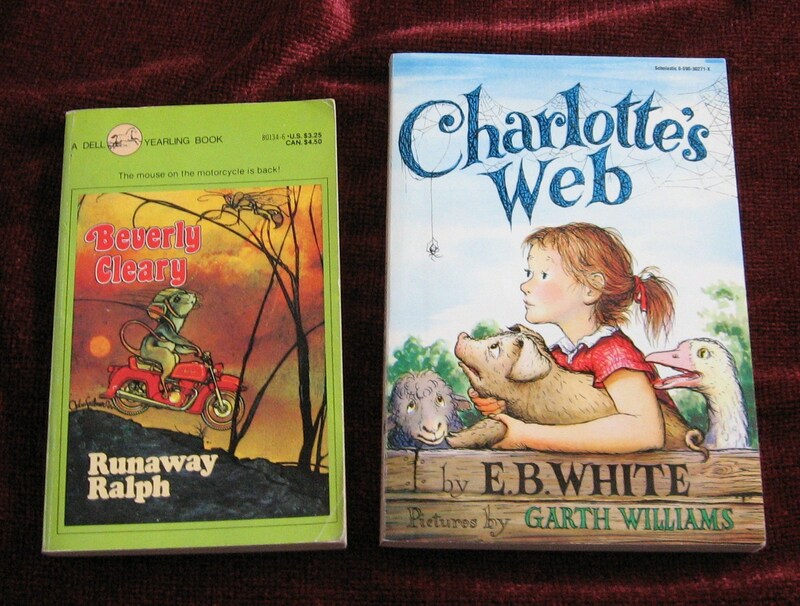 These books have remained all-time favorites in our house. 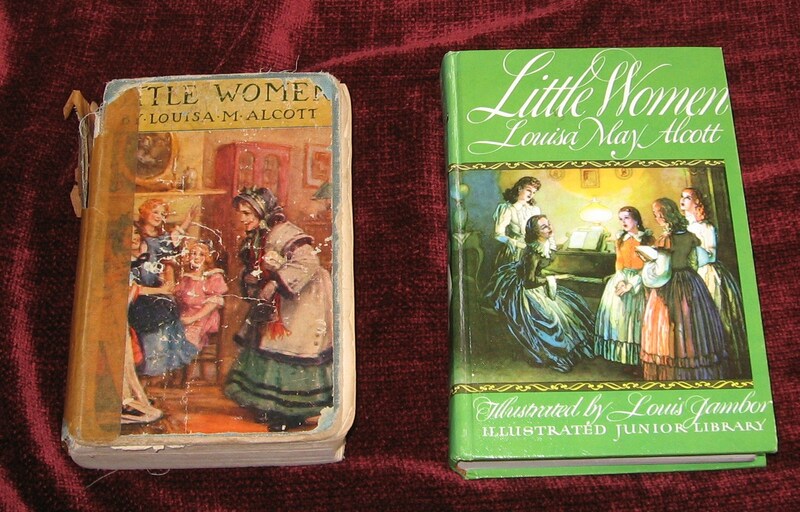 The older copy of Little Women belonged to my mom and was passed on to me. The newer copy belongs to my daughter. 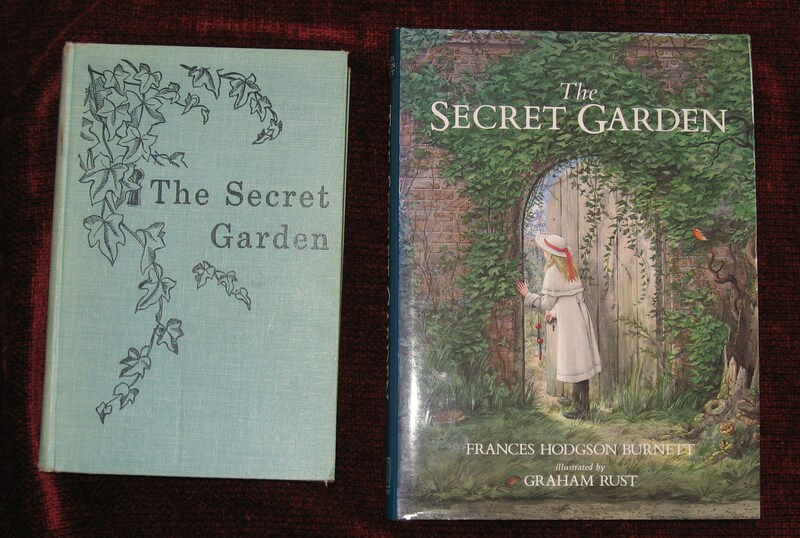 The older copy of The Secret Garden was given to me as a gift, and the copy on the right I gave to my daughter. There are so many wonderful books to share. Children grow up quickly. Don’t let a day pass by without reading to them or with them. You’re never too old to be read to. 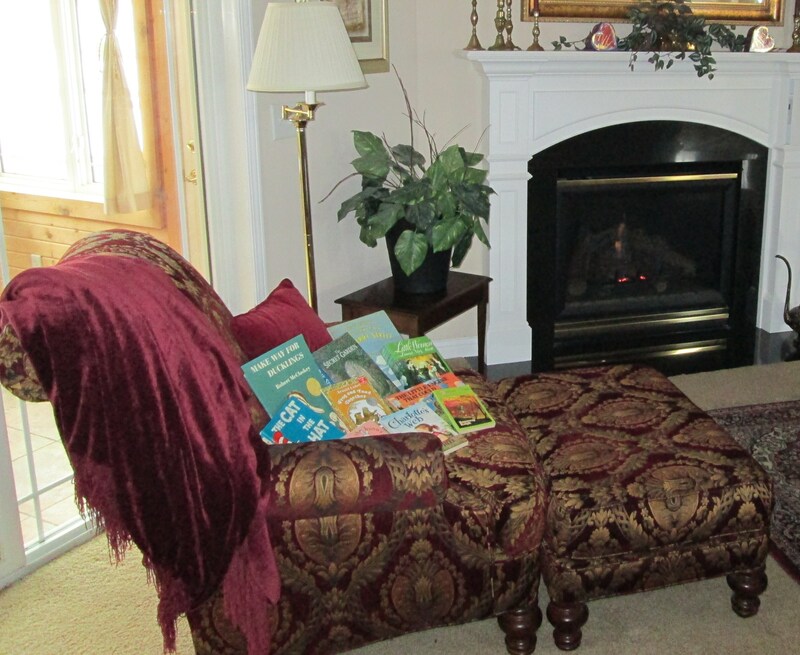 So cozy up with your child and some books in a comfy chair and read! Pat Zietlow Miller, author of the forthcoming picture book, Sophie’s Squash, asked me to take part in the Next Big Thing Blog Hop. What is the Next Big Thing? Participating writers answer a standard set of questions about what they are currently writing or have written. They then tag other writers to do the same. It keeps the Next Big Thing Blog Hop hop, hop, hopping along! I’ve been writing for quite a while. I’ve had articles and stories published in children’s and educational magazines, and I’ve had two early readers published. I’ve also had the unfortunate experience of having a two-book contract cancelled due to unforeseen circumstances. Writing is hard work. It takes time, passion, patience, creativity, a little bit of luck, and a hefty sense of humor (for those rejections). So what’s my NEXT BIG THING? I’m hoping it’s the piece I’m currently revising. Up Your Nose, Noah Zielinski! My husband has always said my nose smells things most noses don’t. So I put my nose to the grindstone and my brain to the task at hand and came up with an idea for a book where the main character’s nose plays an important part. I’m clueless here. Casting call! I’m looking for two fresh young actors for the main characters who are naturals when it comes to acting and humor. Of course, the actor playing Noah must have a good looking sniffer on his face. Noah Zielinski is on a mission to convince his mom to let him get a potbellied pig, but his plans go awry and a freak accident involving his nose creates chaos in his quest for his pet. My agent is Stephen Fraser from The Jennifer De Chiara Literary Agency. I’m in the process of doing a revision for him. When I’m finished, I hope he thinks Noah Zielinski reeks of success! Sometimes it’s easier for me to think of an idea than it is to actually get it down on paper. After much procrastination, it took me eight months to complete the first draft. Dare I compare my writing to these authors whose works I admire? There are similarities in my book and That Crazy Eddie and the Science Project of Doom written by Judy Cox and Mason Dixon Pet Disasters written by Claudia Mills. Each of these stories has two boys as best friends, some crazy ideas, and humor. I can only wish to be as prolific as these two wonderful authors. I had the opportunity to meet face-to-face with my agent at a conference we both attended. He suggested I try writing a chapter book. I came up with a few ideas, and after a short session of brainstorming, Noah was born. Noah has an older sister who he considers a diva. The two of them are constantly at odds, trying to one-up each other with their zingers. Beneath all their squabbling, there is genuine admiration between the two. Writer you’ve tagged for the NEXT BIG THING Blog Hop.